Bangalore, a city in southern India most popularly know as the Pub City is also host to a plethora of South India restaurants and eateries. The cuisine offered can range from authentic Karnataka cuisine to even delicacies from Andhra Pradesh and Hyderabad.A recent trip turned out to be a quite a delightful one indeed with the hubs and me partaking in the ever famous Hyderabadi Biryani at Nagarjunas,the finger-licking good Dosa’s and Wada Sambar at MTR, going down the foodie trail at the ever so vibrant Fraizer Town and of course bar hopping in the evenings.We stayed at The Gateway Hotel which is located in the older part of Bangalore and is still as charming as ever. 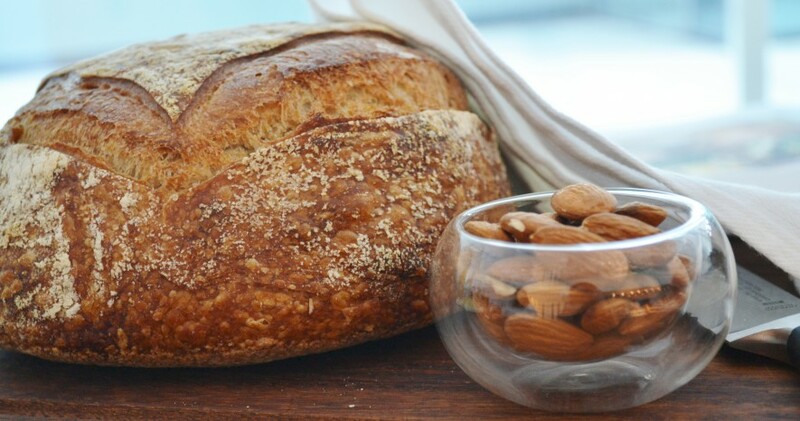 Since most afternoons and evenings were spent exploring the streets of the city,our breakfast most often would be a choice from what was offered at the hotel buffet. Now you are probably wondering why one would give such importance to a hotel buffet? Well lets say his one was a quite an exceptional fare of a mix of Indian breakfast items and a reasonable selection to appeal to the International palette as well.On one such morning after having a small portion of the regular South India fare,I decided to indulge some Beetroot halwa that stood simmering on a burner at a central display of an assortment of desserts.Rather unusual to serve that for breakfast I thought! 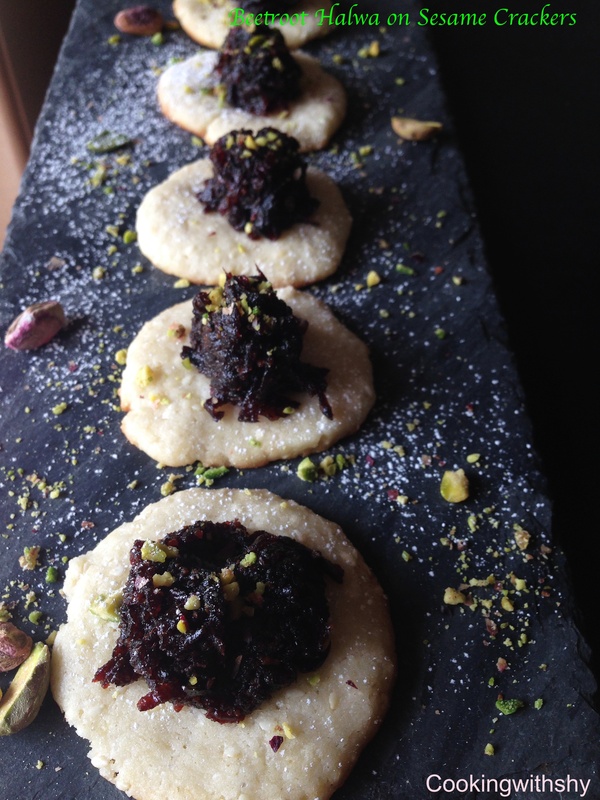 Just as well,it was the most delectable halwa I’ve ever sampled.Every morsel just a delicate hint of softened beetroot with hints of fresh Mawa and crunchy pistachios. I absolutely had to ask the hotel kitchen for this recipe.I went right ahead and let the wait staff know of my intentions and asked to speak with the Chef for the restaurant. Soon enough Chef Lakhan Sigh,came across to our table and very politely greated us.He tells us about his roots in Allahabad and his career as a chef at many restaurants.He’s very amicable and bubbly.I tell him how I loved the subtle flavours of beetroot in the halwa and ask for the recipe.It’s really a no brainer he say’s and pretty close to its counter part the Gajjar ka halwa or carrot pudding.But yes there is one key tip in making a Beetroot halwa and that would be to soak the grated beetroot in water for about 15 minutes.This is important so as to get rid of the slight bitter or rather earthy bite that this tuber has.Further more there was no addition of any milk in his recipe as beetroot’s have a high water content and would soften quite easily.This was a revelation to me as I excitedly made notes of this bowl of deliciousness! Well of course I had to try this out as soon as we got back.We had a family dinner coming up and it would make a great dessert on my table.I added a creative twist to this recipe and served it over a batch of sesame cookies that I had baked up earlier on.The family absolutely loved this and I was extremely happy to have a chef’s secret recipe added to my repertoire! A must try if you like Beetroot! Heat a pan with the ghee and add the grated beetroot. Let this cook on a medium flame and keep stirring this till the beetroot softens and cooks well. Now add the sugar and cook further for about 10 minutes till the Halwa looks well cooked and fairly dry. Add in the raisins. 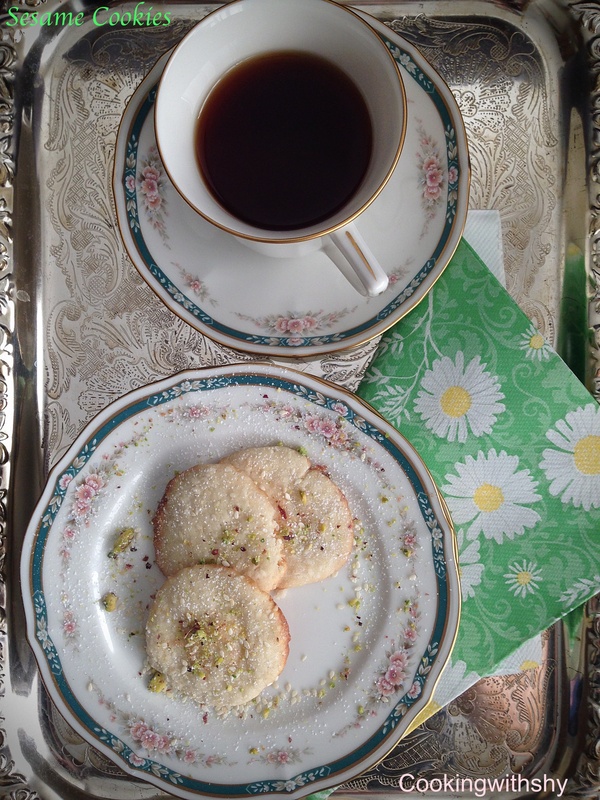 Sprinkle the cardamom powder and serve hot. Yes indeed it’s delicious and very easy to make up…thanks for stopping by!! 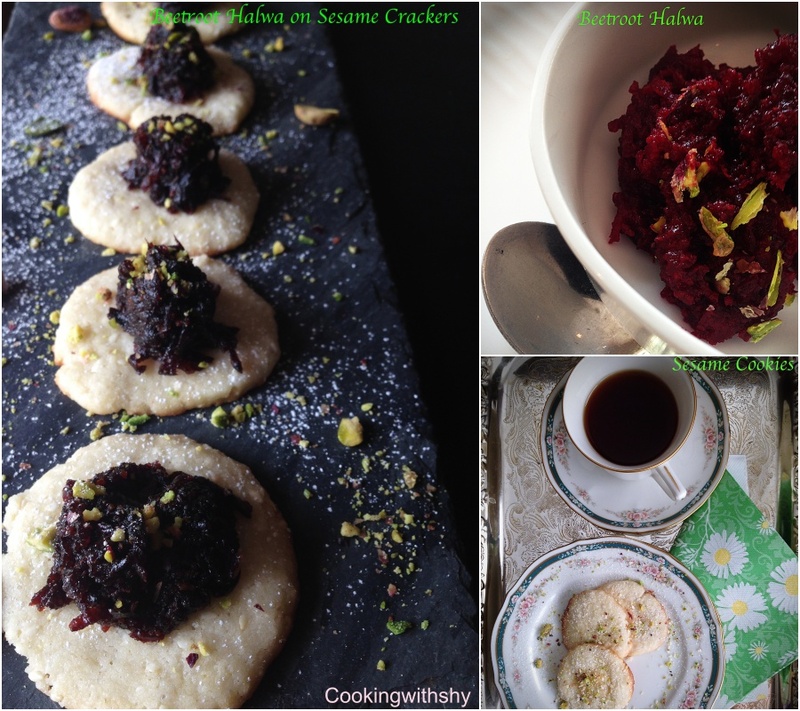 Loved your idea of serving the beetroot halwa on sesame cookies, Shy! Oooh! 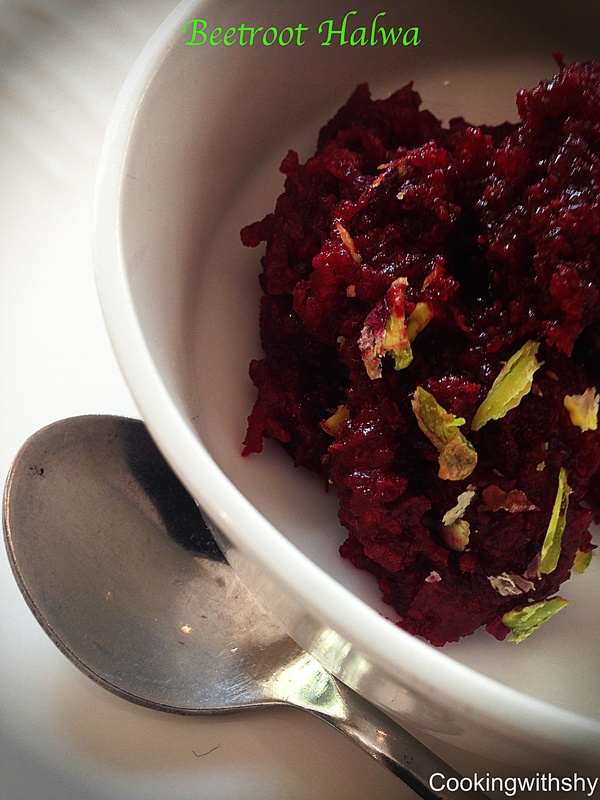 I never thought of making halwa with beetroot!